8 to 5 - Monday thru Friday - but email us anytime! 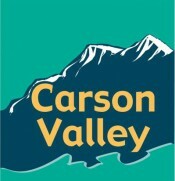 Welcome to Carson Valley Accounting's website! If you are looking for a blend of personal service and expertise, you have come to the right place! We offer a broad range of services for business owners, executives and independent professionals. Our rates are affordable. We are experienced and we're friendly. Please call us for a free initial consultation. Balance your checkbook, save for college educations, check the current tax rates, tax due dates, when you'll get your tax refund, incorporate your business, get the latest version of QuickBooks, securely send us your accounting files, pickup a previous years tax returns, or simply pay our fees online.